As we come to the end of 2015, the crew recaps the biggest songs out of ALL of this year's major Caribbean Carnivals. 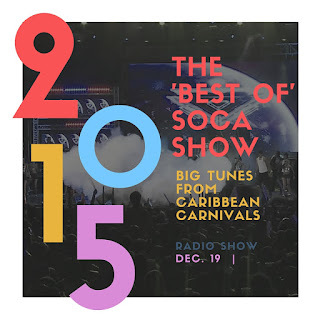 Trying to pick the best of all the songs for 2015 means going back to songs that were released as far back as 2014 Summer, as tunes can catch a '2nd wind' when they reach Trinidad for Carnival the following year. In short, if a song was in HEAVY ROTATION from February - August 2015 we considered it! There were literally HUNDREDS of tunes to pick from and these are each of our personal choices.